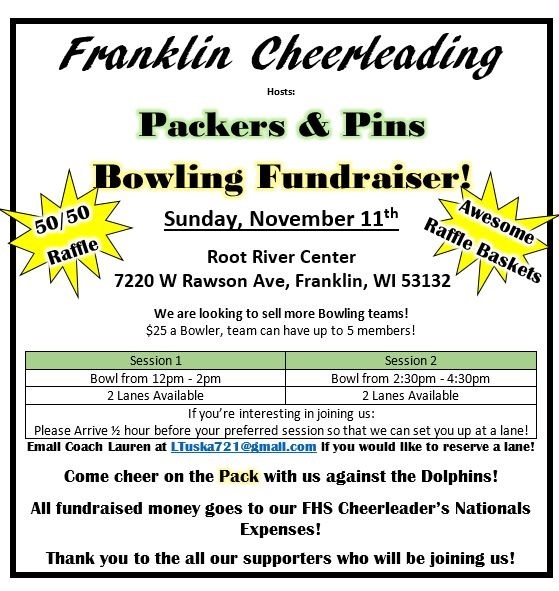 Come on out & help support our local Cheer team!!! A few lanes are available otherwise stop on by & purchase some raffle tickets for a good cause!!!! GO SABERS!!! Email LTuska721@gmail.com if you would like to reserve a lane.